Dancing fireflies, Formula One races and enchanting limestone caves are some of the delights you will find in one of Malaysia’s most developed and varied states. Few states in Malaysia boast such a multitude of attractions as charming Selangor, with its high-tech theme parks and shopping malls, jungle trails and tropical beaches, ancient religious monuments and museums. Located 45 miles (70 kilometers) northwest of Kuala Lumpur on the west coast of Malaysia, Selangor has long been a popular getaway for the capital’s locals and expats and is home to many of the country’s finest attractions. Take a trip to the National Zoo of Malaysia, where over 450 species of animal are on display. Children will love the Kidzania and Sunway Lagoon theme parks, while there are adrenalin-fuelled thrills and spills of a different kind at the Sepang International Circuit. Sit in the stands and watch some of the world’s top drivers race in the Formula One Grand Prix. Take a tour of the stadium or get behind the wheel yourself and take the kids for a few laps around the go-kart track. Make sure you visit the fascinating Batu Caves, three limestone caves with a huge statue of Murugan, the Hindu god of war, at the entrance. For superb views across the city, climb the 272 steps up to the Temple Cave. Enjoy another enchanting experience when you visit the Firefly Sanctuary. Every evening, these tiny insects put on a stunning light display. You’ll see a magnificent light display of a very different kind when you visit I-City, an urban development with sculptures created from millions of LED lights. This area also houses a shopping and entertainment complex. Malaysia’s tropical climate makes Selangor a pleasant place to visit year-round, but the beaches of the Gold Coast are best enjoyed from June to October, outside of monsoon season. Excellent air, road and rail links connect Selangor with the rest of Malaysia, making it an easy place to visit, either as a stopover or as an exciting holiday destination in its own right. 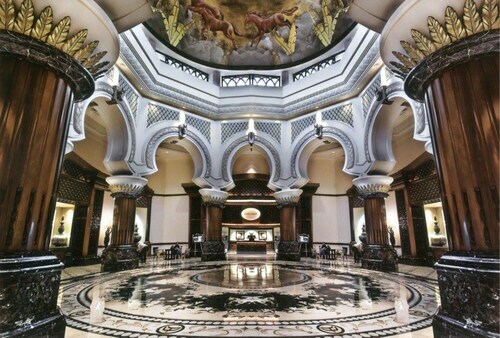 Situated near the airport, this luxury hotel is within 9 miles (15 km) of Mitsui Outlet Park Klia Sepang, Sepang International Circuit and Sultan Abdul Samad Mosque. National Automobile Museum and Taman Rekreasi Kuarters KLIA are also within 12 miles (20 km). Kuala Lumpur International Airport Station is 10 minutes by foot. Offering direct access to the beach, this Sungai Pelek resort is within 20 mi (32 km) of Taman Rekreasi Kuarters KLIA, Sepang International Circuit and National Automobile Museum. Morib Beach and X Park Golf Driving Range are also within 25 miles (40 km). 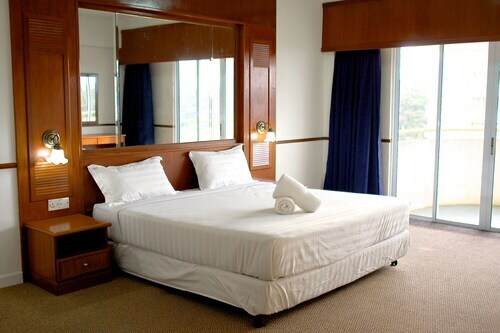 This family-friendly Petaling Jaya hotel is located in the business district, within 2 mi (3 km) of 1 Utama and The Starling Mall. Atria Shopping Gallery and Curve Shopping Mall are also within 3 miles (5 km). 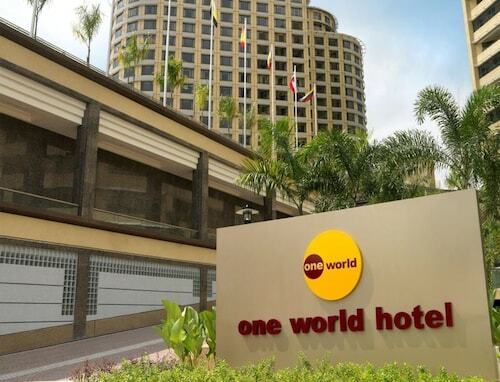 Situated in Puchong, this hotel is within 9 miles (15 km) of Farm In The City, Sunway Pyramid Mall and Sunway Lagoon Theme Park. IOI City Mall and Pinnacle Sunway are also within 9 miles (15 km). 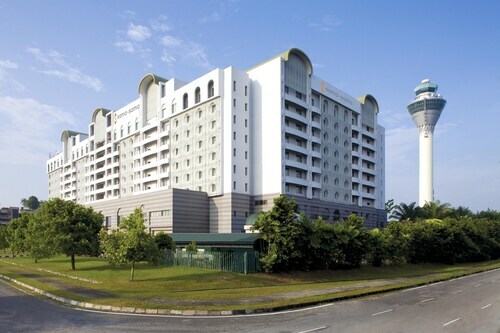 Situated in Genting Highlands, this apartment building is 2.9 mi (4.6 km) from Genting Highlands Theme Park and 2.9 mi (4.6 km) from Arena of Stars. Genting Skyway and Chin Swee Cave Temple are also within 9 miles (15 km). Located in Bukit Jalil, this luxury resort is 1.7 mi (2.7 km) from Axiata Arena and 1.9 mi (3 km) from Bukit Jalil National Stadium. Mines Wonderland and Malaysia International Exhibition and Convention Center are also within 2 miles (3 km). 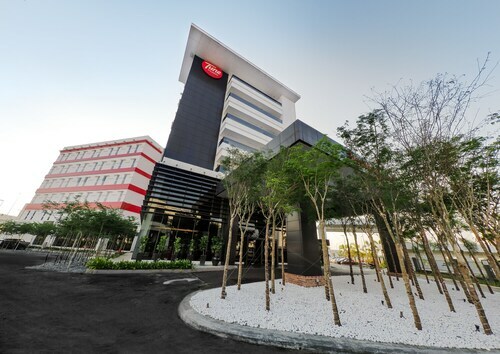 Situated near the airport, this hotel is within 9 miles (15 km) of Sultan Abdul Samad Mosque, Mitsui Outlet Park Klia Sepang and National Automobile Museum. Sepang International Circuit and Taman Rekreasi Kuarters KLIA are also within 12 miles (20 km). Kuala Lumpur International Airport Station is only a 4-minute walk.